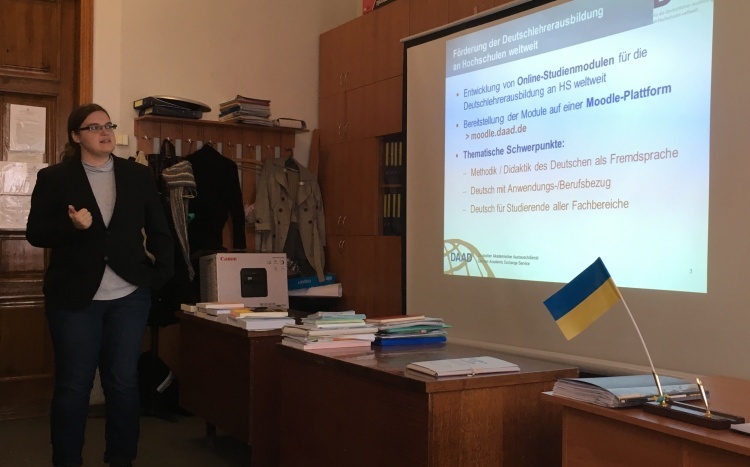 On October 4, 2018, a seminar for German teachers was held at the Department of German Philology and Translation of the School of Foreign Languages, during which DAAD lecturers Anja Lange and Vera Tersteegen presented an innovative distance program for masters "Dhoch 3". The program was developed by the German Academic Exchange Service with the participation of representatives of leading universities in Germany and covers training of German students enrolled in graduate programs in the following areas: methods and didactics of teaching German as a foreign language, planning classes in schools and higher education institutions, learning and teaching using electronic resources, German language for non-linguististic specialties, German for researchers, multilingualism and approaches to teaching German as a second / third foreign language, research in the field of foreign language teaching. 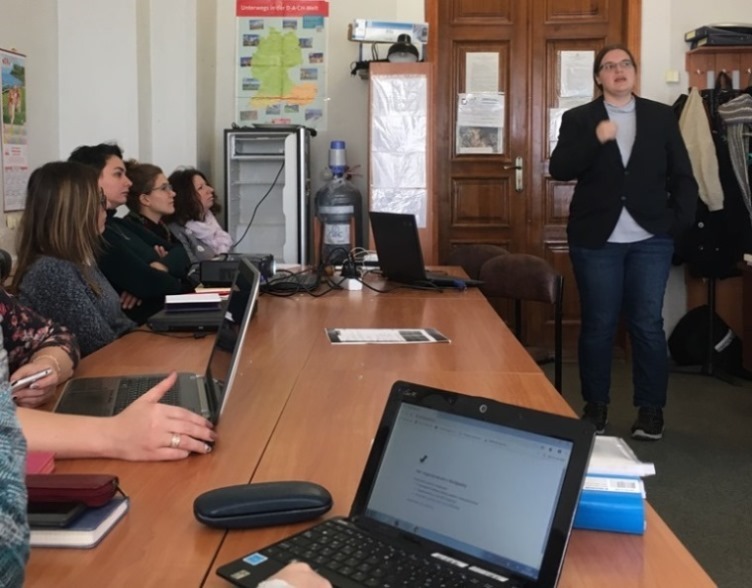 Training is carried out in the Blended Learning format (a combined form of training which includes classroom learning as well as online learning). On the e-platform, students are offered a variety of tasks, tests, presentations and research papers on selected topics. The teacher can choose or modify the suggested modules.